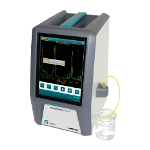 The MINIVAP ON-LINE from Grabner Instruments is a process monitoring analyzer that is built to determine the vapor pressure of gasoline, LPG, crude oil, and NPG. Furthermore, it is possible to measure the vapor-liquid ratio (LVR) of gasoline. 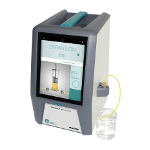 The measuring principle is identical to the universally used laboratory instruments MINIVAP and thus the MINIVAP ON-LINE generates equivalent results. Up to two different sample streams can be connected to one analyzer. 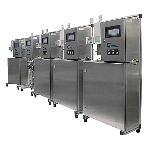 It is the only available process vapor pressure tester that completely adheres to the industry relevant ASTM standards for crude oil (D6377), gasoline (ASTM D6378), and LPG (D6897). Thousands of dollars are saved daily by refineries due to the instrument’s unmatched accuracy. 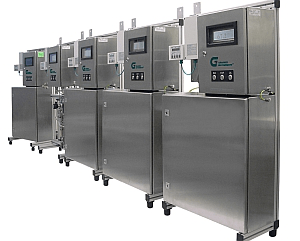 The measuring principle is founded on the triple expansion technique of Grabner Instruments´ universally approved and accepted laboratory vapor pressure tester for crude oil and gasoline: MINIVAP VPS. Back in 1993, the US-EPA declared MINIVAP as the official reference instrument for the USA. Using the MINIVAP ON-LINE, the vapor pressure of crude oil (D6377/D323), gasoline (D6378/D5191), liquid petroleum gas (D6897/D1267), and the vapor-liquid ratio temperature of gasoline (D5188) can be established. With probable connection of up to two different sample streams, these measurements can be done with just one instrument.